Sleep in a real ice palace, alongside a frozen lake, on glassy moonlight. 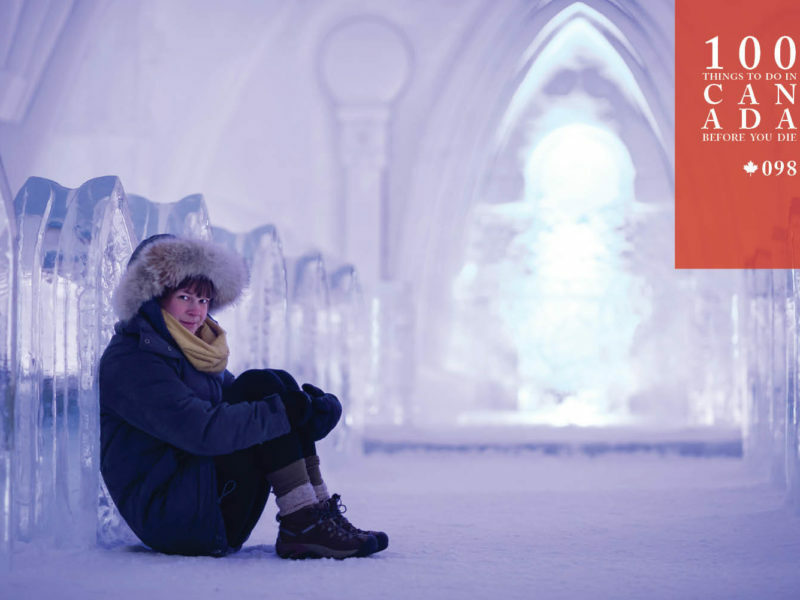 Although the Hotel de Glace is just a 30-minute drive from Old Town Québec, a stay there feels like being on another planet. Ice-glass drinks are up at the ice hotel. A winter-only structure erected using 16,000 tonnes of snow and ice, the Ice Hotel is like few others in the world in that it is utterly destroyed every spring, only to be rebuilt at the end of autumn with a new theme and new additions to the guest rooms, chapel, bar and restaurant. A guest reaches for a frozen glass at the ice hotel. While the 2018 theme is yet to be announced in December, 2016’s “time and space” motif invited guests to contemplate their perceptions of the universe while sipping cocktails in the frozen bar, or tucking themselves into warm, arctic sleeping bags atop a wooden bedspring on an ice-based bed, inside your personal ice chamber. 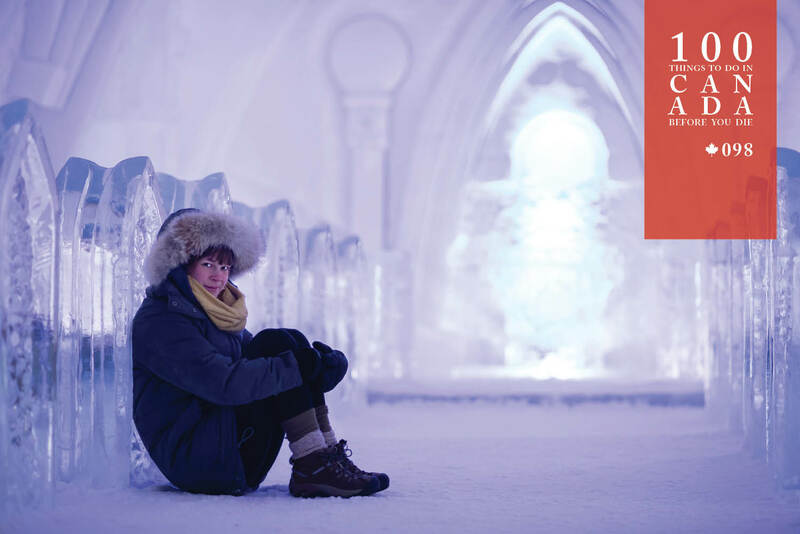 For guests concerned with getting cold feet, a stay here includes a mirror room at the nearby Four Points by Sheraton – but once you check in we’d be surprised if you wanted to leave the silent perpetual evening of your very own ice castle. Guests at the ice hotel kiss in the hot tub. Check in to the Hotel de Glace between January and March each year (hoteldeglace-canada.com). For more cool accommodation, go here. Two guests check into their suite at the ice hotel. Hotel de Glace is just a 30-minute drive west of Québec City, on the banks of the Fossambault-sur-le-Lac.